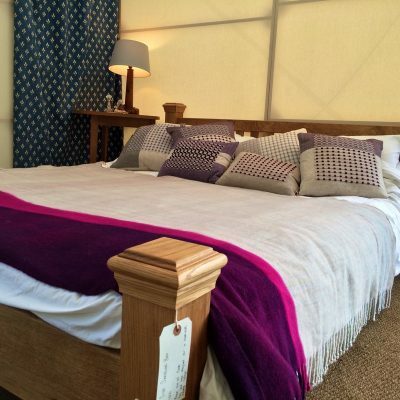 This bed is the perfect combination of luxury style and comfort. 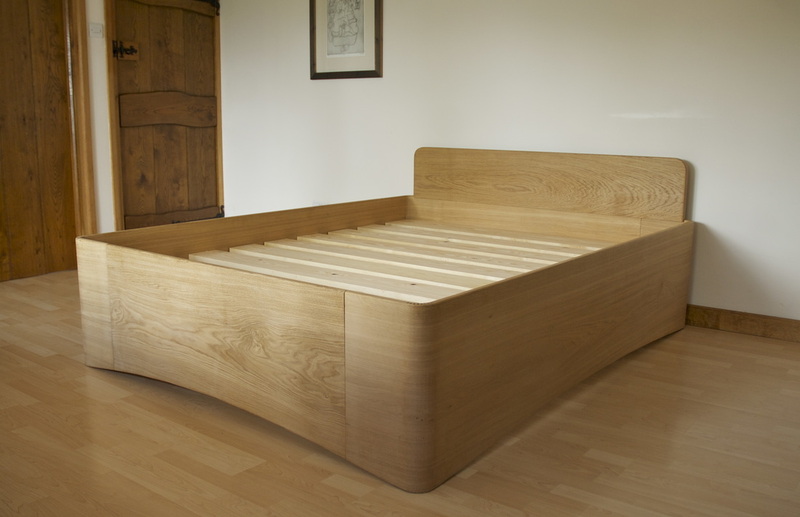 It was designed to celebrate the superb quality of Oak from English Woodlands. 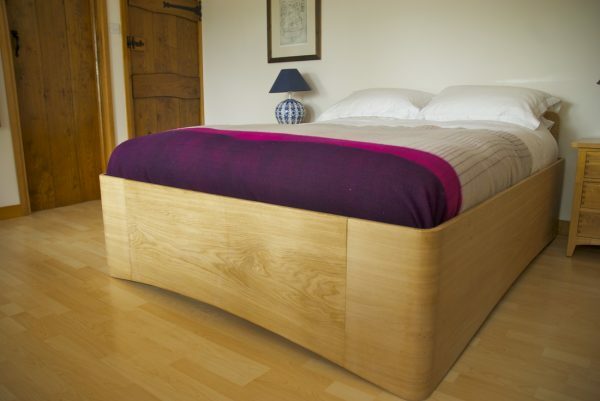 This is shown through the unique design – using 500 mm wide boards to showcase the full beauty of the grain. 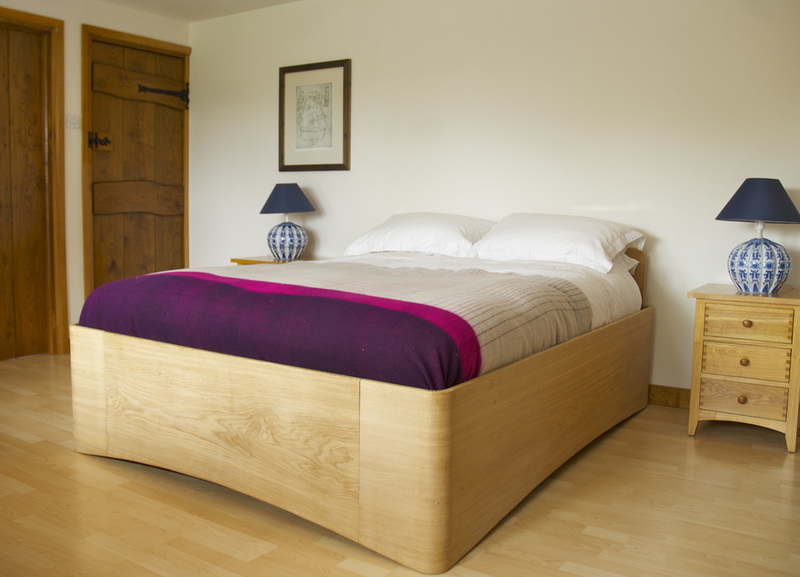 A bonus feature from a practical perspective is that the bed can easily be assembled and disassembled – so it can be built in even the most inaccessible bedrooms. The bed is made using a technique called Kerfing. By removing small sections of timber from what will become the corners it means Henry can create smooth steam bent corners from one single 500 mm wide plank of Oak. 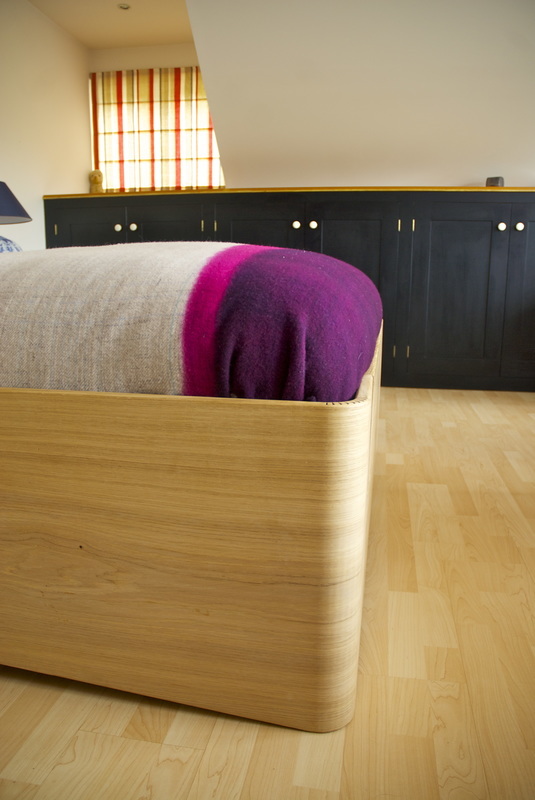 The interior of the bed is made from pine slatted base to provide ultimate support. The bed is finished in an attractive durable hard wax oil creating a winning combination with the English Oak.